Original servants' quarters, built in the late 1800s. All original wood interior. Large and well designed. 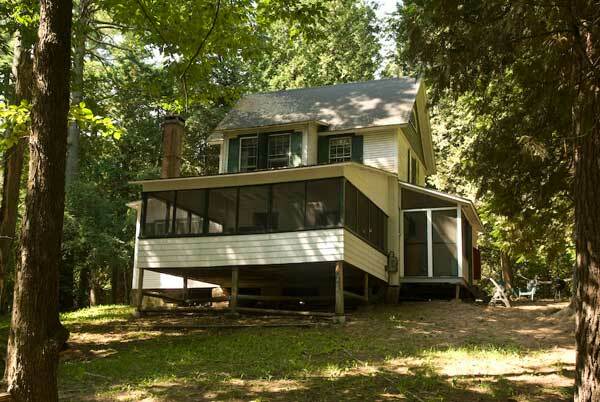 Nestled in the woods 150 feet from the lake. 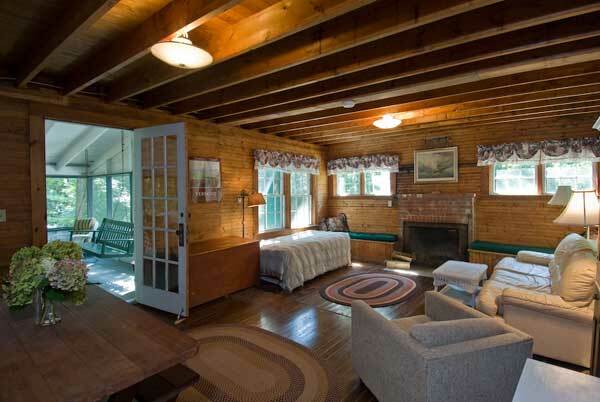 Cozy fireplace in living/dining room and huge screened porch with swing for two. Five rooms - 3 bedrooms, living room with convertible sofa bed, kitchen, bath.